Billionaire hedge fund managers such as Steve Cohen and Stan Druckenmiller can generate millions or even billions of dollars every year by pinning down high-potential small-cap stocks and pouring cash into these candidates. Small-cap stocks are overlooked by most investors, brokerage houses, and financial services hubs, while the unlimited research abilities of the big players within the hedge fund industry can easily identify the undervalued and high-potential stocks that reside the ignored corners of equity markets. There are numerous small-cap stocks that have turned out to be great winners, which is one of the main reasons the Insider Monkey team pays close attention to the hedge fund activity in relation to these stocks. Microsoft Corporation (NASDAQ:MSFT) was in 113 hedge funds’ portfolio at the end of September. MSFT has experienced an increase in support from the world’s most elite money managers recently. There were 107 hedge funds in our database with MSFT holdings at the end of the previous quarter. To the average investor, there are dozens of methods that stock that traders can use to analyze their stock investments. A pair of the best methods are hedge fund and insider trading indicators. Experts at Insider Monkey, a website specializing in hedge funds, have shown that, historically, those who follow the top picks of the best money managers can trounce the S&P 500 by a very impressive amount (see the details here). 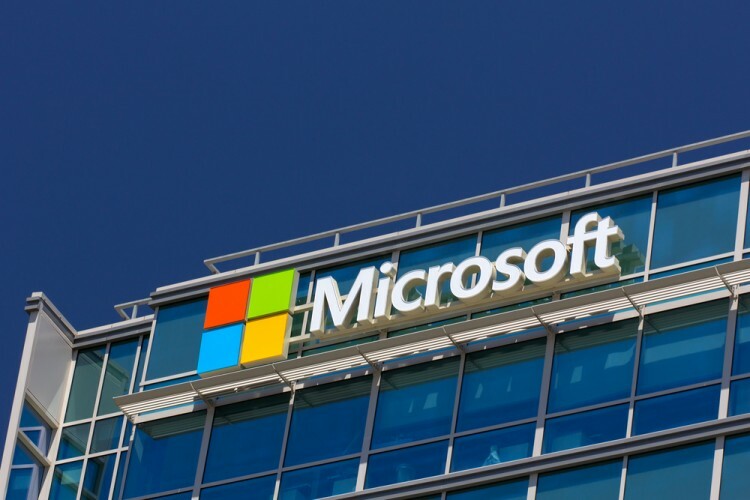 With all of this in mind, let’s take a look at the latest action surrounding Microsoft Corporation (NASDAQ:MSFT). What have hedge funds been doing with Microsoft Corporation (NASDAQ:MSFT)? At the end of the third quarter, a total of 113 of the hedge funds tracked by Insider Monkey were long this stock, a change of 6% from the previous quarter. With the smart money’s capital changing hands, there exists a select group of noteworthy hedge fund managers who were boosting their stakes substantially. When looking at the hedgies followed by Insider Monkey, Jeffrey Ubben’s ValueAct Capital had the most valuable position in Microsoft Corporation (NASDAQ:MSFT), worth close to $3.33 billion, comprising 19.4% of its total 13F portfolio. The second largest stake is held by Eagle Capital Management, managed by Boykin Curry, which held a $1.34 billion position; the fund has 5.9% of its 13F portfolio invested in the stock. Other peers that are bullish contain Stephen Mandel’s Lone Pine Capital, Ken Fisher’s Fisher Asset Management and Donald Yacktman’s Yacktman Asset Management. As one would reasonably expect, specific money managers have been driving this bullishness. JANA Partners, managed by Barry Rosenstein, assembled the biggest position in Microsoft Corporation (NASDAQ:MSFT). JANA Partners had $340.7 million invested in the company at the end of the quarter. Eric Mindich’s Eton Park Capital also made a $256.7 million investment in the stock during the quarter. The other funds with new positions in the stock are John Armitage’s Egerton Capital Limited, Anand Parekh’s Alyeska Investment Group, and Rob Citrone’s Discovery Capital Management. Let’s also take a look at hedge fund activity in other stocks similar to Microsoft Corporation (NASDAQ:MSFT). We will take a look at Berkshire Hathaway Inc. (NYSE:BRK-B), Exxon Mobil Corporation (NYSE:XOM), Wells Fargo & Co (NYSE:WFC), and Johnson & Johnson (NYSE:JNJ). All of these stocks’ market caps match MSFT’s market cap. As you can see these stocks had an average of 72 hedge funds with bullish positions and the average amount invested in these stocks were $14.36 billion.